A hydrating shampoo that works independently to bring essential moisture to parched hair through a special blend of moisture-rich proteins. Helps to provide renewed strength, turning dry hair into revitalized hair. Only approved Salon Professionals and Distributors can order. Moisture Sulfate-Free Shampoo is gentle, rich and luxurious. 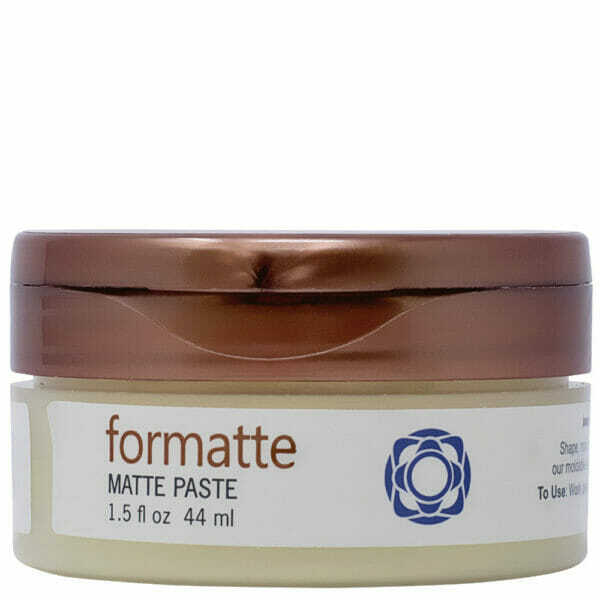 Improves elasticity and calms the frizz with the help of quaternized proteins and hydrating amino acids. It contains a complex network of naturally derived, heat-activated ingredients to guard against damage. Initiates repair and healing from roots to ends. Apply to wet hair. Rinse thoroughly. Repeat if necessary. Use daily for dry hair. Follow with Thermafuse Moisture Condition. Moisture Sulfate-Free Shampoo also makes for a luxurious body wash.
Hydroxypropyltrimonium Hydrolyzed Wheat Starch – A naturally derived cationic oligosaccharide designed to soften hair while greatly improving sheen, wet and dry combability, and detangling. Hydrolyzed Wheat Protein – A unique hydrating complex offering both moisture-balancing and film-forming properties that work synergistically for better body, control, and smoother, softer feel. ropical White Floral – A balmy effervescent burst of green bergamot, white roses, jasmine and ylang-ylang blossoms with just a hint of creamy coconut. Also contains amber, sandalwood and vanilla musk. Our company has been family owned and operated since its inception in 1973. When people use any kind of heat styling tool (blow dryers and flat irons for example) their hair needs a unique product to combat the damage caused each time they style. Thermafuse has put together world class formulas designed to do just that. We developed the HeatSmart Complex®, a registered technology that combines a molecule from natural ingredients that are substantive and capable of penetrating deep into the hair shaft, with a molecule that makes heat good for hair. This newly formed molecule, along with 7 other ingredients from nature, are activated with the heat from blow dryers and irons to make hair look and feel its very best.